Second Tranche of the IMF Balance of Payment Support. $150Million World Bank Macro-Economic Stability Support. $20M weekly injection into the interbank. 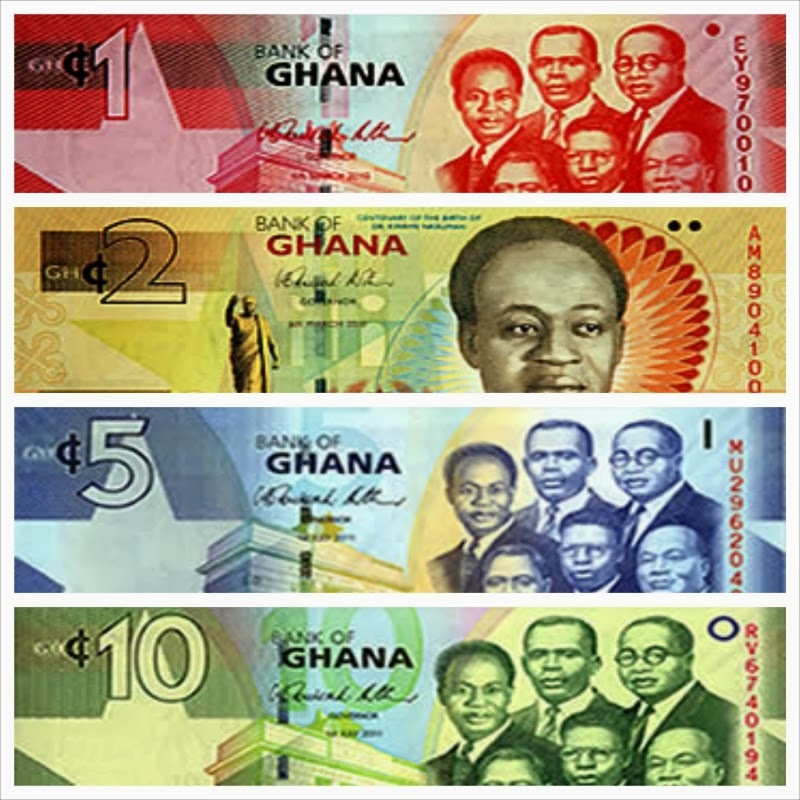 The news of these upcoming positive economic events gave the Cedi its biggest appreciation surge in a little over six months (01/15/15 to 07/22/15). The Cedi’s appreciation against the dollar was as high as 3.22GHS to $1 on July 20th. The Cedi’s strong rebound weakened in the final week of July on dollar demand by firms. The Cedi exchanged at 3.700 per dollar at 1054 GMT on Thursday, from 3.3500 last weeks and sharply down from 3.25 on July 20, when it printed its highest gain since January. The local currency on average depreciated by about 29 percent since its brief appreciation against the foreign currencies from July 9. Access Bank’s – GHC3.74 to $1 and GHC5.95 for £1. GT Bank located close to the Ridge Roundabout, GHC3.73 $1. Nima ADB GHC3.675 $1 and GHC5.60 for £1. The Bank of Ghana’s website quoted GHC3.42 for a dollar and GHC5.35 for a pound. According to some analyst reports, the renewed pressure on the Cedi was fueled largely by speculative activities which have led to panic-buying because the central bank had not been very active in the market last week in terms of its weekly $20 million injection. It seems that there is a lot of confusion about the process surrounding the liquidity injections by the central bank and it might thus be fueling some speculative behavior.